UPDATE: 12/11/15 Thanks to our reader Jewels, we now know that this Big thing (unfortunately!) no longer exists. We stopped outside this pub when I yelled “pull over” on our way from the Bundaberg Airport back to Biggeden (surprisingly there are no Big Things in Biggeden). I’m not sure this xxxx beer bottle is documented too well on the net and I’m afraid I didn’t document it or its location very well either. I can tell you that we did get some amusing banter from the pub locals plus a few stares! 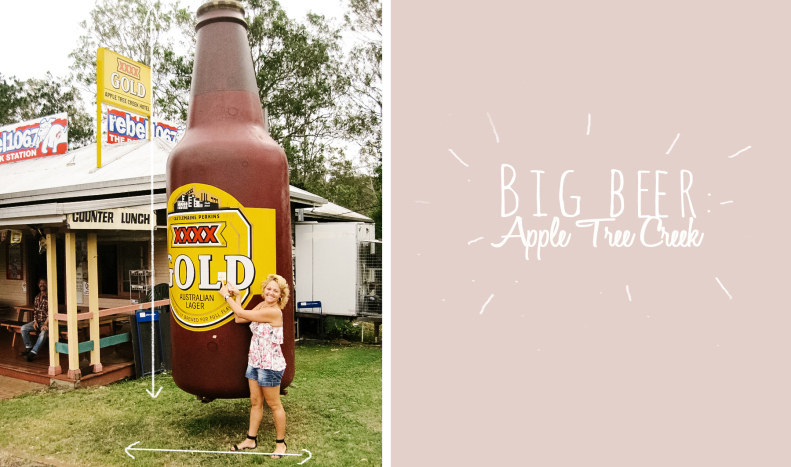 Address: Bruce Hwy, Apple Tree Creek (north of Childers)QLD.